"(An) extremely competent saxophonist... with shades of (Ornette) Coleman." Born in Baltimore, MD, and raised in Decatur, IL, P. Mauriat Performing Artist Matthew Muneses is an up-and-coming saxophonist currently residing near Chicago. He began learning the saxophone at age 10, after beginning music studies with the violin at age 6. 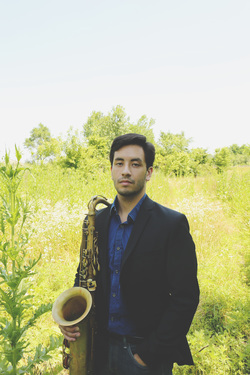 After high school, Matthew completed degrees in Saxophone Performance at Illinois State University and in Jazz Performance at the University of Illinois at Urbana-Champaign. Since then, Matthew has become recognized as an up-and-coming talent, garnering recognition as a winner and finalist in multiple educational and open competitions. Recently, Matthew participated in an invitation-only workshop with Steve Coleman and the Five Elements, hosted by the University of Chicago. Through this workshop, he was afforded the opportunity to study with and perform alongside Steve Coleman and members of his band, including Jonathan Finlayson and Miles Okazaki. Matthew has also had the pleasure of leading groups at a number of respected establishments and music festivals, including the Green Mill, (Chicago), Catalina Bar & Grill (Los Angeles), Kranzberg Arts Center (St. Louis), and Andy's Jazz Club (Chicago), as well as the Pygmalion Music Festival (Champaign, IL). Having developed a love of educating future generations of musicians, Matthew has given clinics and masterclasses at the high school and collegiate level, notably at Illinois State University, the University of Northern Iowa, Northern Illinois University and Northwestern University. His private students have been awarded first place commendations at numerous solo and ensemble contests, been selected to ILMEA state and district ensembles, and also successfully auditioned at colleges including the University of Iowa, Illinois State University, and Northern Illinois University. Matthew has also studied and performed with such musicians as Miguel Zenón, Steve Coleman, Jonathan Finlayson, Adam Larson, Clark Sommers, Stu Mindeman, Geof Bradfield, Dana Hall, Chip McNeill, Ron Bridgewater, Tito Carrillo, and Chip Stephens. In March 2015, Matthew recorded his debut record, "Threshold," featuring trumpeter Zubin Edalji, pianist Steven Feifke, bassist Raviv Markovitz, drummer Jay Sawyer, and produced by friend and fellow saxophonist, Adam Larson, which was released in November 2015. Matthew resides in South Elgin, IL with his wife, Renee, his daughter, Adelaide, and their two dogs, Peanut and Jelly. He also teaches through his private studio, and in-residence at St. Charles North High School.